SAN FRANCISCO: Firefox maker Mozilla announced Wednesday that it is switching to Yahoo as the default service for online searches done through the Web browser in the United States. Google has been the default option for Firefox searches since 2004, but beginning next month that role in the US will go to Yahoo, according to Mozilla Corporation chief Chris Beard. “We are ending our practice of having a single global default search provider,” Beard said in a blog post. In Russia, Firefox will start using local search engine Yandex as its default service for online queries. Baidu will continue to be the default search engine in China. As with rival Web browsing programs, users have options to change settings to opt for competing search engines with the list typically including market leader Google. Firefox, which is open-source and free, is reported by industry trackers to be the third most used Web browser in the world, behind Google’s Chrome and Microsoft’s Internet Explorer. A total of more than 100 billion online searches are done each year by people around the world using Firefox browsers, according to Beard. “We are excited to partner with Yahoo to bring a new, re-imagined Yahoo search experience to Firefox users in the US featuring the best of the Web, and to explore new innovative search and content experiences together,” Beard said. The decision to switch to Yahoo came as a decade-long agreement with Google neared its end and Mozilla evaluated its options, according to Beard. 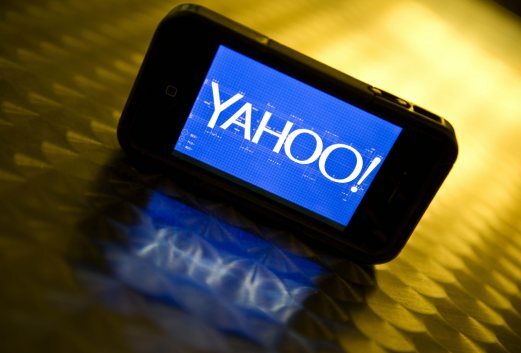 The partnership with Yahoo is set to last five years. “We’re so proud that they’ve chosen us as their long-term partner in search, and I can’t wait to see what innovations we build together,” Yahoo chief Marissa Mayer said in a release. Five years ago Yahoo inked a deal with Microsoft to have Bing do the heavy, behind-the-scenes search labor such as crawling and indexing online content. Yahoo and Microsoft agreed to split ad revenue under terms of the 10-year search deal, which let Yahoo focus on customizing query results for users. Mayer has repeatedly stressed that Yahoo remains devoted to the search market that the company pioneered but which Google grew to dominate. Industry watchers believe Mayer may be disenchanted with the alliance with Microsoft.